Have you seen cool and funny cartoon "Despicable Me"? In this game you will be looking for items on the pictures from this cartoon. Watch the panel at the bottom and choose the same items hidden on the picture. To play you need only the mouse. Click on found objects and watch them disappear from the yellow bar at the bottom. Time is limited, and so you need to hurry! If you mistakenly choose the wrong object, it will cost 25 points for you! So do not make mistakes and take your time! 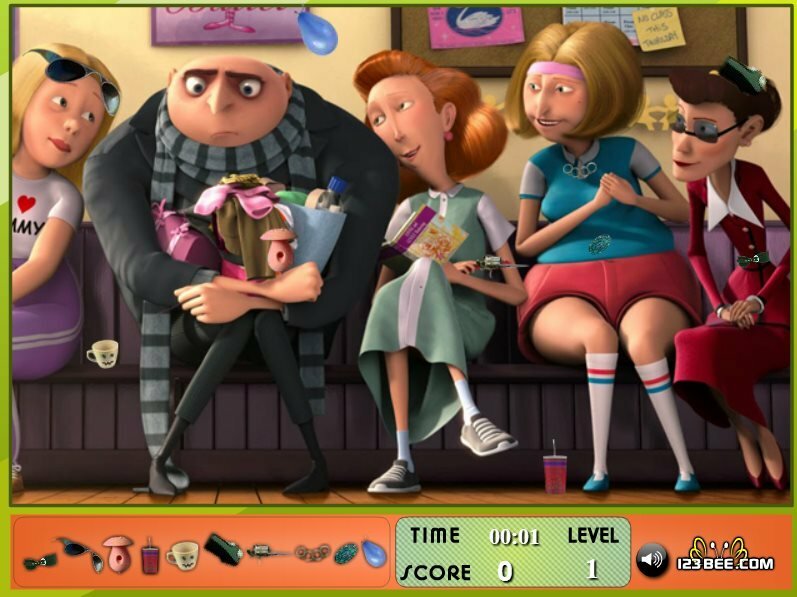 Despicable Me hidden objects game.